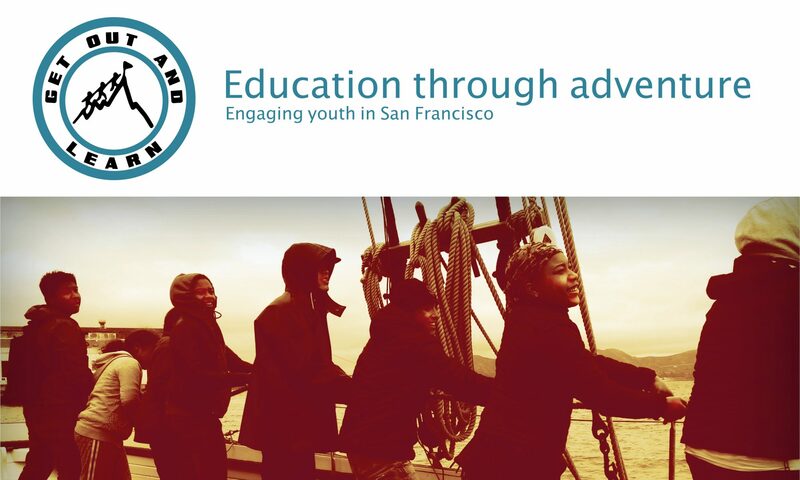 The GetOutAndLearn program uses experiential and adventure-based learning to educationally engage under-served San Francisco youth who are at-risk of dropping out of school. GetOutAndLearn prepares, encourages and motivates students to graduate from high school, make healthy choices and pursue post-secondary education and/or meaningful work. Above all, students leave the program with a greater sense of personal responsibility and self-esteem. Since 2003, GetOutAndLearn has offered an academic alternative to students who are chronically truant from San Francisco Unified School District high schools. The semester long program is housed at Downtown High School, serving nearly 70 youth each year. The SFUSD Dropout Prevention office refers the majority of students to Downtown High School. GetOutAndLearn provides meaningful opportunities to young people for whom school has had little valuable impact or effect. Cooperative learning and respect are promoted throughout the project, guided by the experiential education philosophy which challenges antiquated learning models where students often sit idly by and watch from a distance. GOAL practices are based on a long history of experience, sound pedagogical theories and collaborative models of youth development.